The Cheese and Wine Shop of Wellington - Home of Great Cheeses, Wines, Hampers, Chocolates, Gourmet Gifts and much more! Your online Cheese Shop with more! Home of Great Cheeses, Wines, Hampers, Chocolates, Gourmet Gifts and much more! Your online Cheese Shop with more! Hello from The Cheese & Wine Shop of Wellington, and welcome to our online Deli and Cheese Shop. Here, at The Cheese and Wine Shop you can buy great Cheese online, along with Gifts, Chocolates, Hampers and much more. Choose from superb West Country Cheeses, great Wines, and all thats best from the west and beyond! We are your online Cheese shop that offers more. We have a great range of Chocolates, Fudge, Nougat and a lot more, and its available for next day delivery! Wellington Foodtown is on again, so make sure you keep Saturday July 06th and Sunday 07th 2008 free! Click here to view the Wellington Foodtown events being held here at The Cheese and Wine Shop. We have a full weekend planned, jam packed with tastings, giveaways and competions. Dont miss it! Do have a look at our News page, where you will find newly arrived items, and food and wine events of note. SALE ITEMS: Like a bargain? ... then our clearance lines can be found here. Here at your online Cheese Shop and Deli, we have got the the perfect gift - it's always just what they want - guaranteed! Choose a gift Voucher, and let them decide exactly what they want, and when they want it!. Click here for a hassle free shopping solution thats sure to please! SHOPPING WITH US ONLINE: We hope you will find your online shopping to be pleasurable, and we would welcome your feedback; please help us to make this site do exactly what you would like. Please call 01823 662899 and we will answer any questions you may have. If theres something specific, please call or email us, as we probably have it in the shop, but it hasnt made it across to our online store yet. Our site is frequantly changing, both with new products, and with seasonal content. Be first to know; click here to register and when new products, or content are updated, you will be first to know. Our Lyme Bay Brut Reserve English Wine is a fruit-driven sparkling wine that displays refreshing lemon and green apple notes, with a vibrant and creamy mousse finish. The peanuts grown by our cousins across the pond are generally recognized to be the best. 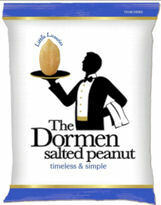 Indeed, Dormens insist on their peanuts carrying the Quality USA marque to prove that they are the finest money can buy. An original recipe inspired by classic winter fruits. This delicious tipple blends the finest ingredients to provide a rich and mouth watering flavour with warming, spicy notes. 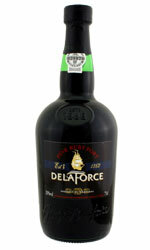 Delaforce's Fine Ruby Red Port is a supre, easy drinking, rich soft port from Delaforce. This Ruby Port is rich, and full of sweet berry fruits with a long lingering finish. Its ready to enjoy now, with no need to decant, just open and enjoy.